International Transportation Service's cranes at Pier G are getting a lot taller lately. Two new gantry cranes — with lift heights of 150 feet above the dock — from Paceco Corp. went into service at the end of July, increasing the facility's container outreach by more than 20 percent. 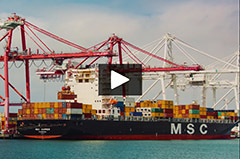 What kind of cargo volumes can our port expect in the future? 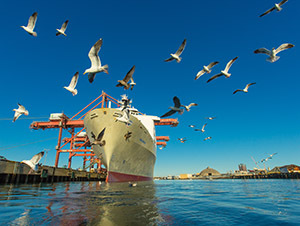 The Federal Emergency Management Agency recently awarded the Port of Long Beach’s Security Division $3.3 million in grants to fund ongoing projects to protect the Port. The grants awarded from the Port Security Grant Program will support the operation and maintenance of existing port security systems, including physical security equipment and monitoring and detection systems, and provide funding for enhancements to existing port security systems. 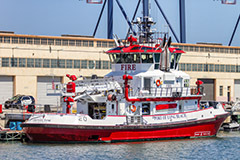 FEMA, which is part of the U.S. Department of Homeland Security, offers the grants for port security initiatives, and recipients like the Port of Long Beach must provide at least 25 percent of the cost of the project. 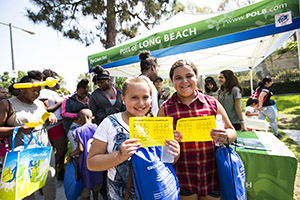 U.S. Navy, Maritime Administration and California Environmental Protection Agency officials joined City and Port officials Aug. 30 to commemorate the approval to transfer ownership of 125 acres of the former Naval Complex to the City of Long Beach. 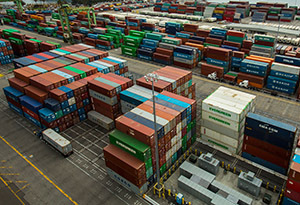 The property transfer commemoration highlighted the economic success of a thriving shipping terminal and other facilities at the shuttered Navy facility. 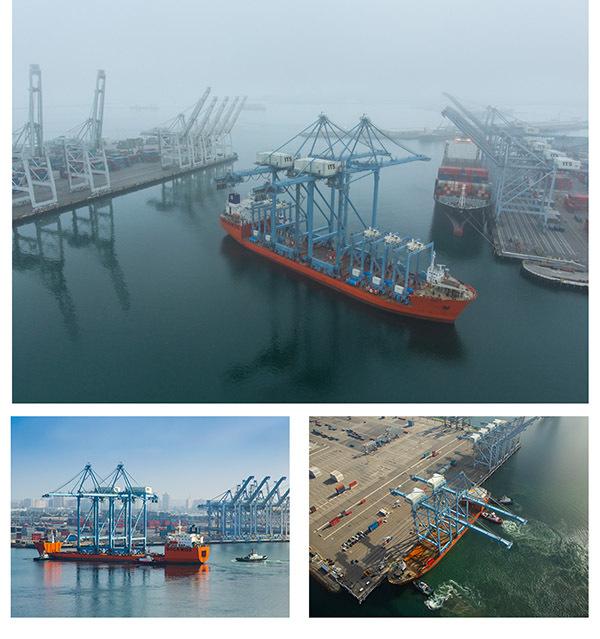 Today, the Pier T container terminal is one of the Port of Long Beach’s busiest — able to accommodate megaships and handling billions of dollars’ worth of trade.